Nicholas Brown, 22, of Elsted Close, Crawley, was banned from driving for 18 months, with a £600 fine, a £30 victim surcharge, £85 costs, and a £150 criminal courts charge. He had pleaded guilty to drink driving, driving without insurance, and driving without a licence. Stewart Mukombe, 37, of Horsham Road, Crawley, was fined £40, with a £20 victim surcharge, £85 costs, and a £150 criminal courts charge. He had pleaded guilty to being drunk and disorderly in Crawley. Lee Buchan, 36, of Seaford Road, Broadfield, was jailed for four months, with an £80 victim surcharge, a £150 criminal courts charge. He had pleaded guilty to stealing DVDs and alcohol from Morrisons in Crawley, and admitted breaching a suspended sentence for possessing articles for use for theft. George Ghica, 22, of Woodcock Hill, Felbridge, was fined £200, with a £20 victim surcharge, £85 costs, a £150 criminal courts charge, and six penalty points added to his licence. He had pleaded guilty to driving without insurance at Felbridge. Simon Robinson, 37, of Evelyn Walk, Tilgate, was banned from driving for nine months, with a £200 fine, a £20 victim surcharge, and £85 costs. He had pleaded guilty to driving without insurance, driving without an MoT, and two counts of driving with an illegally worn tyre. Jayne Vidler, 28, of Rowan Close, Guildford, was fined £220, with £24.17 vehicle excise back duty, £90 costs, and a £150 criminal courts charge. She had been convicted in her absence of keeping an unlicensed vehicle on a public road in Crawley. Hakeem Stewart, 19, of Sapphire Close, Broadfield, was given a community order with 100 hours of unpaid work, a £60 victim surcharge, £85 costs, and a £180 criminal courts charge. He had pleaded guilty to stealing a charity box, and to possessing a pocket knife in a public place. David Smith, 43, of St Cuthberts Close, Ripon, was banned from driving for a year, with a £120 fine, a £20 victim surcharge, £85 costs, and a £150 criminal courts charge. He had pleaded guilty to drink driving in Crawley. Ross Singleton, 28, of no fixed address, was given a one month prison sentence, suspended for six months, with £75 compensation, £85 costs, and a £150 criminal courts charge. 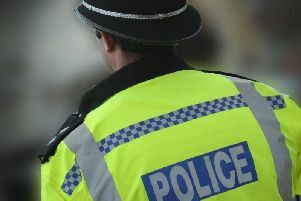 He had pleaded guilty to assaulting a police officer in Crawley, and to failing to comply with a community order for common assault and for possessing a knife with a blade more than three inches long. Erjon Malli, 34, of Tushmore Avenue, Crawley, was banned from driving for 17 months, with a £160 fine, a £20 victim surcharge, £85 costs, and a £150 criminal courts charge. He had pleaded guilty to failing to provide a breath alcohol specimen. Ryan Higson, 27, of Letchworth Court, Bewbush, was jailed for 26 weeks, with an £80 victim surcharge, and a £180 criminal courts charge. He had pleaded guilty to theft from Tesco, Mothercare, Sainsbury’s, and a cosmetics firm, all in Crawley, and failing to answer bail, and admitted breaching the terms of an early release from prison, and breaching a suspended sentence. Roman Rosko, 24, of Denchers Plat, Crawley, was given a six month conditional discharge, with £445.82 compensation, a £15 victim surcharge, and a £180 criminal courts charge. He had pleaded guilty to seven counts of making off without payment from a petrol station. Guy Reid, 44, of Belhaven Terrace West, Glasgow, was fined £740, with £250 compensation, a £74 victim surcharge, and £625 costs. He had been found guilty of using racially aggravated threatening, abusive or insulting words or behaviour at Gatwick. Peter Balchin, 58, of College Road, Southwater, was given a one year conditional discharge, with a £15 victim surcharge, £85 costs, and a £180 criminal courts charge. He had pleaded guilty to stealing perfume and a coat from Debenhams in Crawley. Chane Hill, 43, of no fixed address, was fined £50, with a £15 victim surcharge, £85 costs, and a £150 criminal courts charge. He had pleaded guilty to stealing alcohol from Asda in Crawley, and to breaching a conditional discharge for shoplifting. Andrew Longhurst, 24, of Shellwood Drive, North Holmwood, was banned from driving for 18 months, with a £270 fine, a £27 victim surcharge, £85 costs, and a £150 criminal courts charge. He had pleaded guilty to drink driving in Crawley. Tamas Godollei, 24, of Five Acres, Crawley, was fined £750, with a £37 victim surcharge, £310 costs, a £520 criminal courts charge, and ten penalty points added to his licence. He had been found guilty of driving without insurance, and drink driving in Crawley. Viktor Szule, 22, of Five Acres, Crawley, was banned from driving for 20 months, with a £1,400 fine, a £52 victim surcharge, £310 costs. He had been found guilty of drink driving, driving without insurance, driving without a licence, and driving without due care and attention in Crawley.